The cover of Cinefex #3 boasts a gorgeous still from The Empire Strikes Back showing Luke Skywalker astride his tauntaun. The moody lighting and artful composition – not to mention the rarity of this particular image – combine to make this my favourite of the early covers. The inside cover is a still from Apocalypse Now, followed by three articles spanning 72 pages. 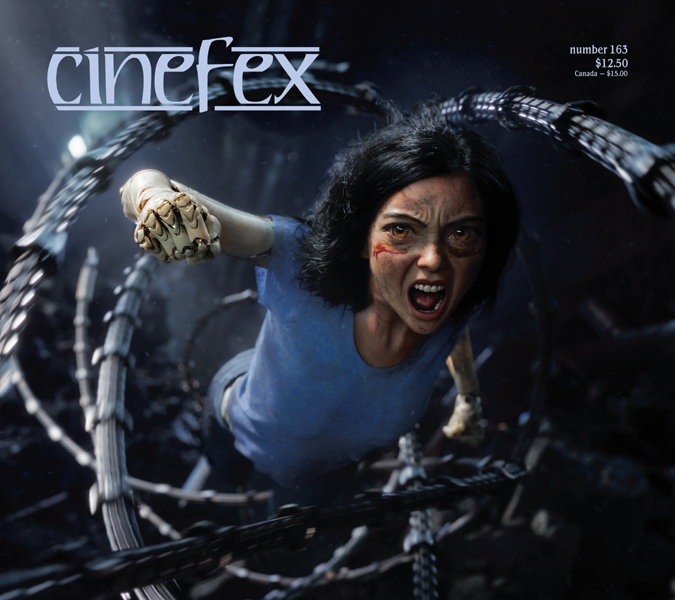 This issue of visual effects magazine Cinefex is one of those that was missing from my original collection and has been generously forwarded to me by Don Shay. So I’ve only just finished reading a thirty year-old publication for the first time – it feels a little like time travel! 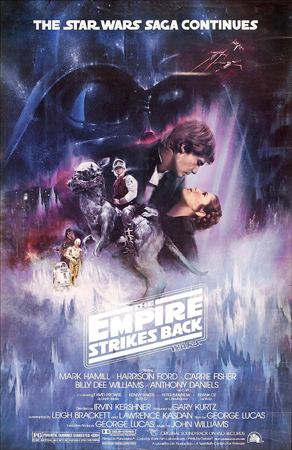 Overall the contents are something of a pot-pourri; the main article on The Empire Strikes Back is solid gold. The UK theatrical trailer for Empire delivered a whopping tease about the movie’s stop-motion delights in the form of a tantalising shot – or maybe two? – of the Imperial walkers. Much as I loved the concept (giant walking war machines – bring ’em on!) when I came to sit down for the actual movie, I was nervous about how convincing the animation was going to be. I’d grown up loving King Kong and Ray Harryhausen’s stop-motion epics, but how well would this old-school technique integrate with the high-tech Star Wars universe? To prepare for the monumental challenge they’d been set, stop-motion experts Phil Tippett and John Berg filmed animals in motion as reference for their animation: elephants for the walkers, horses for the tauntauns. Real-world reference has long been the key to all good animation – Walt Disney famously brought live deer into his studios during preproduction on Bambi. But it was a smart – and not necessarily obvious – move to use the same process when coming up with timing and motion patterns for mechanical war machines in a fantasy universe. Suffice it to say, in the theatre back in 1980, my fears were swept aside by what still stands as one of cinema’s finest stop-motion sequences, period. I watched the snow battle again recently and was struck by the crispness, the dynamism and above all the clean iconic quality of it all. And the very best shots in the battle are those that are pure stop-motion. There’s an extended description of the opening helicopter shot of the tauntaun on the snowfield (also discussed in the Richard Edlund interview in Issue #2). There’s praise for Tippett’s attention to detail on ‘all the little bags and packs … bobbing up and down’ and a nice description of two discarded cuts of an animated Han Solo throwing sentry markers into the snow before riding off. According to Dennis Muren, ‘It was probably the nicest animation Phil had done for the film.’ Sadly it never made it into the movie. That’s my take-out from this article and, come to think of it, from The Empire Strikes Back as a whole. ILM really did use every trick in the book – from cutting-edge computer control to traditional animation, matte paintings, bluescreen, high-speed model work … you name it, it’s in there. There are clear nods to shots designed in the 1930s by Willis O’Brien, sitting alongside compositions and techniques never seen before. And you know what? Thirty years on it still looks pretty damn good. I said this issue was a pot-pourri and so it is. The second article is unusual in Cinefex terms because it’s not about visual effects at all – it’s about sound design. The subject’s entirely valid given the magazine’s byline ‘the journal of cinematic illusions’, but I’m pretty sure it’s the only article devoted to sound that the magazine ever ran. Was it a space-filler, or maybe a piece originally planned for another project? Or was the magazine simply finding its feet in those early days – trying things out before deciding to focus entirely on visual effects? Whatever its genesis, the article is in fact a fine study of Walter Murch, the man arguably responsible for introducing the term sound design into modern cinema. At the start of his career in the 70s, Murch – working alongside his contemporary George Lucas – was obviously thinking about sound in an entirely new way. As Murch puts it, his aim was to ‘take a sound and dredge it into the reality it’s supposed to be part of.’ The article describes some of the practical ways he achieved this on Lucas’s THX-1138 and American Graffiti. For the latter, we learn that the two men replayed the movie’s rock and roll music through cheap speakers in a gym, rerecording it multiple times with the equipment in different positions each time. This generated a number of tracks with different reverb qualities, which were then mixed and cross-faded to create the movie’s characteristic ambient sound. According to Murch, careful use of this ‘wave-shift’ technique lets you play both music and dialogue at high volume without one drowning out the other. Murch discusses other films like The Conversation and Apocalypse Now (for which he won an Oscar). The detailed descriptions of his processes are well-presented by Jordan Fox, but there’s no doubt it’s harder to describe sounds than pictures. I’ve seen all the movies being talked about many times, so I can hear them in my head as I read, but if I couldn’t do that I guess this might all be a bit theoretical. Maybe that’s why Cinefex didn’t make a habit of running this kind of article. As with so many of these early Cinefex pieces, there’s a real sense of the Murch interview taking place at a pivotal moment in time. 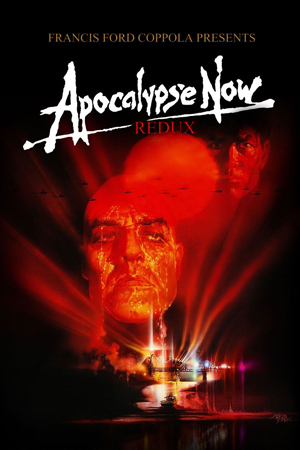 At the time of publication, Apocalypse Now was ‘the only film to date recorded and released in a full quintaphonic stereo format’; Murch also predicts that ‘the next big development in film sound is digital technology.’ Just as Tippett and his crew were breaking new ground in the field of stop-motion, so Murch was at the frontier of sound. Of course, lest we forget, there’s a name in common with all these technical developments: George Lucas. It’s impossible to underestimate the influence Lucas had on these new technologies and more. Likewise, the urge of all those in the industry to keep innovating. 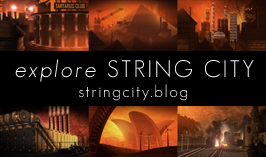 If the Murch article is a fascinating aside, then Issue #3’s final piece is real curiosity. It’s an interview by Don Shay with macro-cinematographer Ken Middleham, discussing his work on Phase IV, in which humanity is challenged by super-intelligent ants. The movie was released in 1975, five years before this issue of Cinefex was published. Retrospectives like this were common in the magazine’s early days, I guess because there were far fewer effects movies being released back then; how else were they going to fill the pages? There are so many films to choose from today I’m sure the current Cinefex team must have a tough job deciding which ones to cover. There’s a crazy edge to this interview that I found rather charming. Some of Shay’s questions read like set-ups for gags: ‘How do you provoke an ant?’ Middleham is perfectly happy to go into the most minute detail (literally in this case) about how he goes about filming the very small, and is clearly an expert on insect behaviour. For example, ‘ants will generally move in an upward direction’ so by building his miniature sets at the appropriate angle he can go a long way towards controlling their movements. Middleham’s working relationship with director Saul Bass sounds odd to say the least. Apparently, he never even saw the footage he’d shot – he got his feedback from Bass (working 6,000 miles away in London) in the mail! Still, he came up with some impressive results, not to mention a whole series of solutions to challenging problems. If you ever want to do strange things to ants, Middleham’s your man. Having read the interview, I now know how to glue things on to ants’ heads, what to feed an ant to turn it green, even how to get one to rear up on its back legs. Unfortunately, this latter involves sticking a needle through the poor thing’s thorax and attaching it to an electric motor. According to Middleham, ‘the ant would last maybe half an hour or so – longer if you didn’t get any of the vital parts of the body.’ The head-turning shots used needles too. Also decapitation. I’d love to know if you could get away with this now. Does the American Humane Association care about ants? I’ve no idea. I have no doubt that if Phase IV were ever remade (unlikely, given it was a resounding flop) we’d be treated to an entire civilisation of CGI insects, so I guess the question wouldn’t arise. It would be a shame, actually, because we’d miss out on some of Middleham’s unique trickery. Watching a few clips of the movie on YouTube (alas, it never gets rerun here in the UK) I was impressed above all by the kind of things you take for granted, like keeping an ant in sharp focus as it bustles down a tunnel away from camera. How do you rack focus on a shot like that when the depth of field is practically non-existent? Clearly Middleham knows. And could a modern CGI set-up be as convincing as Middleham’s shot of a real praying mantis being zapped by an equally real 2000-volt transformer? I guess we’ll never know. Perhaps it’s just as well. Among the extensive selection of behind-the-scenes Empire shots, my favourite is a blurry black and white photo of Phil Tippett squatting under an animation table with his hand on his chin. Above him, the tauntaun puppet waits for its next move. It’s the classic animator’s pose: hang around in a back-breaking position while the camera exposes another frame, while keeping in your head the many rhythms of the creature you’re trying to breathe life into. Inevitably, the Murch article mostly features publicity stills from the movies under discussion – sound just isn’t something you can easily illustrate in pictures. But there’s a nice shot of Murch at his mixing desk, while on the screen in front of him the helicopters are flying in. You can almost hear Ride of the Valkyries. I guess I’ve had a little fun at Ken Middleham’s expense, but there’s a shot in the interview that demonstrates the meticulous nature of his craft. In it, Middleham is positioning his insects on a set comprising a piece of air conditioner. Behind one shoulder is his 35mm Cineflex camera, behind the other one of the special rigs he developed to bounce light ‘through six-inch drums of circulating water … to keep from roasting his tiny subjects.’ In each hand he has a pair of tweezers and on his face is a look of the most profound concentration. Here is a man entirely committed to his craft. The shots of Tippett and Middleham make a nice pair. Both remind us of the things technology can’t supply: namely the uniquely human qualities that are essential to make these cinematic illusions seem real. I’m talking about ingenuity of course, and dedication. But, whether you’re working with giant walking machines or tiny ants, the one thing you really need is patience. Everybody remembers Cinefex 3 for Paul Mandell’s excellent article on the stop-motion work in “The Empire Strikes Back.” The other two articles were quirky footnotes, I guess. Though I don’t recall, after all these years, how the Walter Murch article came about, it was indeed an editorial anomaly — at least in the context of our 30-year run — but an interesting one. I suspect Jordan Fox pitched that story idea, as I was never that attuned to sound work and probably wouldn’t have come up with it on my own. As you posited, we were still finding our way at that point; and there wasn’t a big visual effects extravaganza opening every weekend, as there seems to be now, so we had to dig a little deeper. 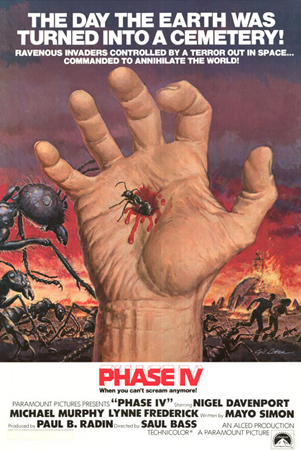 Your bemused response to the “Phase IV” piece tickled me. I was probably one of the few people who liked — or even saw — that little film, but with Saul Bass as a director it had an interesting pedigree. As you may recall, Bass was the king of stylistic title sequences in the ’50s and ’60s, and his work kicked off many a classic film. I think “Phase IV” was his only directing gig. Anyway, I was always intrigued by the extent to which they seemed to get real performances out of live ants, so I sought out Ken Middleham — who, by coincidence and good fortune, lived and did his work in Riverside, California, Cinefex’s hometown, then and now. I got to visit with him, see his film studio, and interview him at length about his work on “Phase IV.” I wonder if anyone else ever did. I guess that one was pretty much for me. It’s fascinating to get your take the background to these issues, in particular the Phase IV article. Your interview must be one of the few (or the only?) surviving studies of the film’s production, and your affection for the movie certainly comes through in the writing. It’s a shame Saul Bass didn’t direct more movies, especially given his strong visual aesthetic. I guess the failure of Phase IV at the box office put paid to that side of his career.